The term “Biologic Value” is the measure of a protein’s properties to be absorbed by the human body and incorporated into existing body proteins for building and repair purposes. The biologic value of the whole egg is rated 93.7. Stated differently, the growth promoting value of the whole egg is second only to mother’s milk. Recent studies indicate that among those who engage in weight training those who consume whole eggs demonstrate higher levels of protein synthesis (potential muscle growth) than those who limit their consumption to egg whites only. 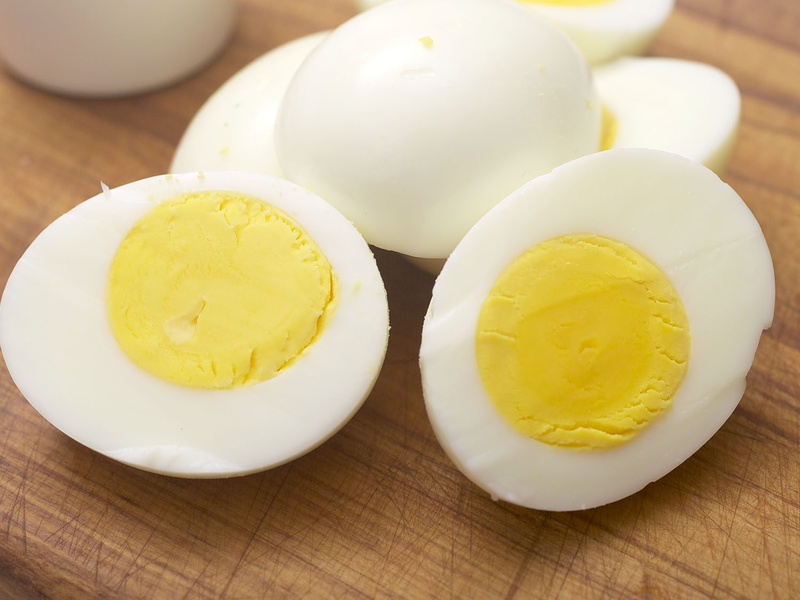 Egg yolks contain roughly half of the amino acids (building blocks of protein) and most of the nutrients of whole eggs. While egg whites contain 67% of the protein content in whole eggs, the loss of amino acids that results from discarding the egg yolks lowers the “biologic value” significantly. Therefore, the practice of discarding egg yolks for bodybuilding purposes appears to be a misguided one. Over the past many years, concerns had been raised about fat contained in egg yolks. However, analysis of the fat content in egg yolks reveal a high proportion of “monosaturated fats.” This type of fat is rapidly oxidized in active people and is less likely to be stored as body fat. There have also been past concerns about cholesterol in egg yolks with warnings of possible links to plaque accumulation in arteries. However, these concerns and warnings had been generally based on “observational studies” that have been largely refuted by more recent scientific evidence. Of course, this discussion is intended for reasonably healthy, active people and does not contemplate potential impacts on individuals with specific, identifiable metabolic abnormalities or illnesses. Those in this category should always consult their personal physician before initiating any changes in their dietary regimens. For everyone else, the purported dangers or downsides about whole eggs seem not to be so well founded. At Performance Sport-Care our goal is a simple one: to help you feel better and perform better as soon as possible. We are a Sports Chiropractic and Rehabilitation facility located in Walnut Creek, CA. Feel free to contact us with your questions or concerns at (925) 945-1155 or request an appointment.